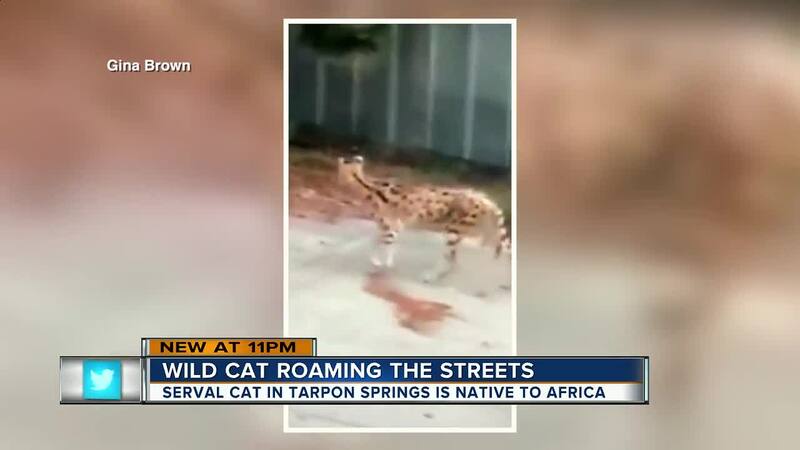 TARPON SPRINGS, Fla. — One of Africa’s most efficient killers was captured on cell phone video calmly strolling through a Tarpon Spring couple’s yard. Gina Brown says she couldn’t believe the cat, experts identified as a serval cat, had no fear and stood its ground. Serval cats are native to sub-Saharan countries in Africa except for rainforest regions. They can weigh as much as 40 pounds, are tall, slender and can stand two feet tall. According to experts at Big Cat Rescue , servals are highly efficient hunters. Brown said she thought there was an intruder on her front porch in the middle of the night roughly three weeks ago. When she ran downstairs to see who was there she saw what she thought at the time was a bobcat. She now believes it was the same cat or another cat. “Is it a mom and her baby? Are there two? We don’t know that for sure,” Brown said. With the proper permitting the cats are legal to own in Florida. Baskin showed ABC Action News reporter Michael Paluska the serval cats at their facility. She said they can jump 12-16 feet and are known to be able to escape enclosures. Baskin said most people don’t have sanctuaries set up to contain the wild animals. Baskin said the cat in the video is a serval cat, not a Savannah cat, which is a cross between a serval and domesticated cat. The serval cat can go for $10,000 to $20,000 depending on the seller. Brown just adopted a rescue, "Simon," a rescue dog. Until she is sure the cat is back with its owner or captured, she won’t be letting him out alone. 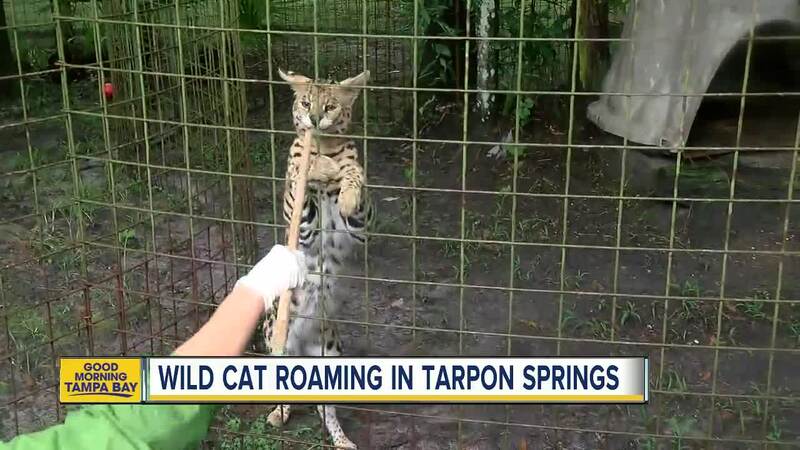 The serval cat was however recaptured by its owner, and an FWC captive wildlife investigator cited the animal's owner for a violation after inspection.